We left bright and early this morning for Tegucigulpa. We had three police and military services, and the rest of the day we climbed and mountain and visited the zoo. The services went well. I especially enjoyed the police academy we visited where everyone was learning English. It was nice to hear them singing in English. I also enjoyed the military academy and watching all the soldiers doing the motions to Father Abraham. This morning was pretty much the same as last Sunday. The girls taught kids Sunday school, and Brother Pahlman did the teens and adult class. The kids loved the story of Gideon and being a part of acting it out. This evening was the last night of kid’s crusade. We had another really good altar service. In the end, the boys beat the girls, and Joyanna got a peanut butter and cool whip pie to the face. It was an awesome finish to a good kid’s crusade. This was our second day of traveling to the military and police bases. We had some good services where you could really feel the presence of the Lord. The first service was at five this morning at a navy base. Brother Scott Sumner asked for anyone who wanted to accept Christ, to raise their hand, and a couple people did. We held two other services this morning and then had the last two this afternoon. The first one this afternoon resulted in two men coming forward to receive Christ. This was probably my favorite service. To start things off, Elizabeth Sumner taught the soldiers "Father Abraham". It is funny to see tough soldiers doing "Father Abraham" and enjoying it. Brother Sumner asked Sister Lisa to share a brief history of the school before testifying. She began to share about faith and miracles that have occurred at the school. I had something in mind to testify about at that service, but as she was testifying, my mind went in a different direction. I shared about some miracles I have seen God do for me and one that happened for a classmate. Timothy preached a good salvation message, and Brother Sumner closed out by calling those who wanted Christ to come forward. This call had been made at other bases, but generally, people were not willing to move out of their seats. It was exciting to see these two men begin to move forward and pray. I saw another man in the crowd wiping tears from his eyes. God certainly has been working here and I'm excited for what will happen next. Today was our first day of a busy week. We left the Sumner's house at 4:30 this morning and headed north. I soon found out why this is called busy week. We traveled to many different military and police bases, and had a service at each one. There were a total of six by the time we were done! I felt awkward when we first started out, but things got easier as the day progressed. Sister Lisa and I shared a testimony at each stop and then sung a song in Spanish. Timothy and Simeon took turns preaching. The people seemed to respond well. It made me wonder what a military service would be like in America if we were given that opportunity. Somehow, I do not think the people in America would show the same amount of respect and openness. We finished the day with some amazing sea food and a beautiful view of the sun setting behind the mountains by the ocean. I found a fish I actually liked! (I have not tried very many.) The services will continue early tomorrow, so it is time to head to bed. Good night all! Greetings from Honduras! It is absolutely gorgeous here. I love the mountains and watching the sunsets. We've had fun trying new foods and experiencing different services. The people here are so friendly and welcoming. God has really been working here. Friday and Saturday we held youth revival, and many sought God in the altars. The people here pray just about as long as the preacher preaches. They have fervency in their prayers too. They are not ashamed to call upon the Lord even if others hear. Saturday was also the day we went to the soup kitchen and Saturday schools. I loved doing a skit for the kids, and the kids enjoyed it, as well. Saturday schools are pretty much the same thing as PEACE at the Park which made me love them even more. The kids are quite loving. It amazes me how some girls would wrap me in a hug even though I cannot speak their language. 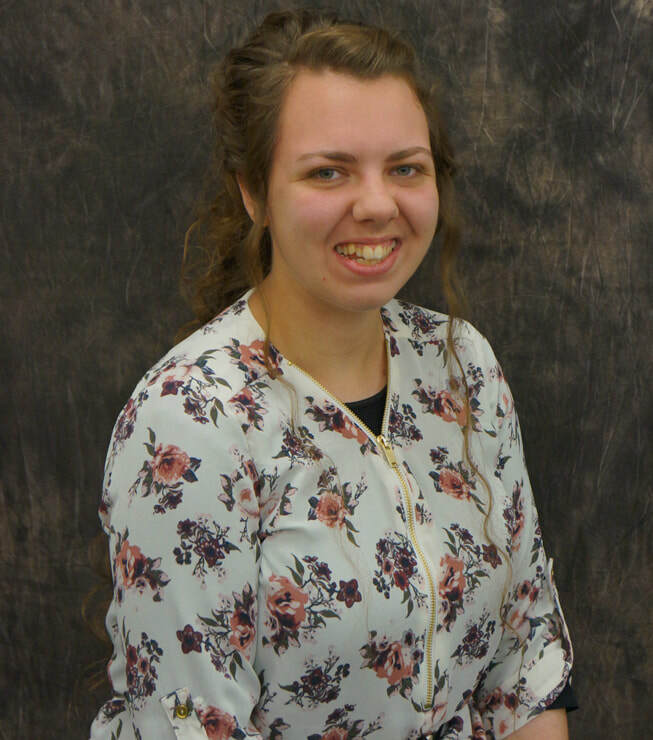 Amber Marshall is a Senior at Free Gospel Bible Institute.